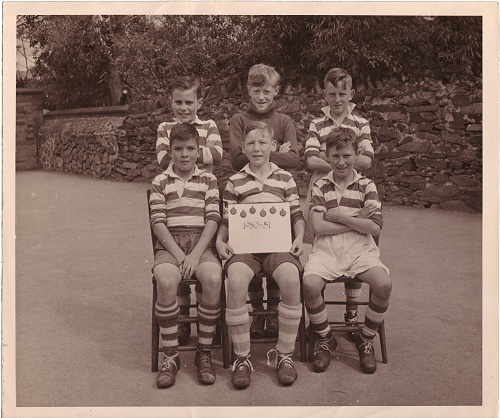 Victorious six-a-side football team of 1950-1951 era. Back Row: Left to right: Ian Aitken, Terry Nail, Alan Ball. Front Row: Charlie Harvey, David Edwards, Tony Sutton. Submitted by: Ian Aitken. Updated by Alan Ball.